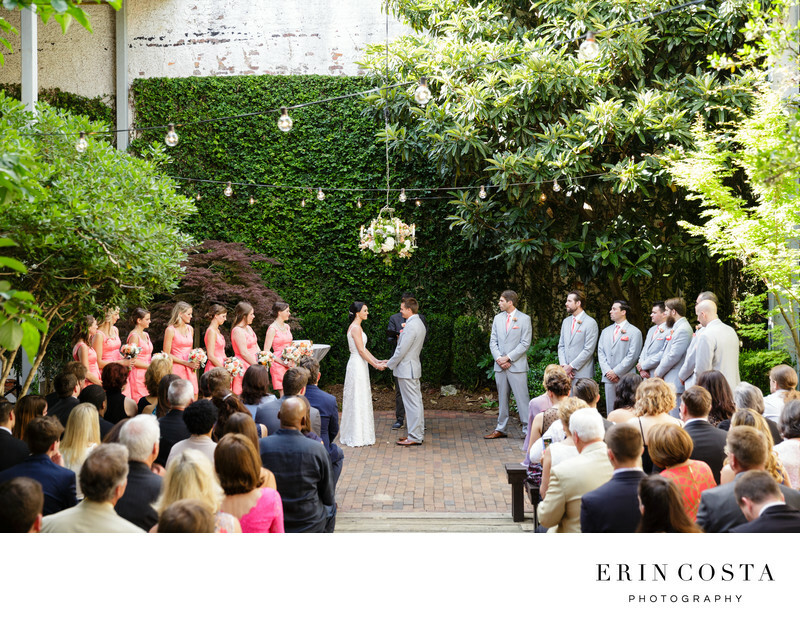 The Atrium by Ligon Flynn is a beautiful outdoor wedding venue located on 2nd street in downtown Wilmington. The gorgeous ivy lined walls and water fixtures that trickle down create a tranquil atmosphere, perfect for any wedding. Preston chose a gorgeous pallet of grey and coral, which was accented by a gorgeous flower filled chandelier created by Fiore Fine Flowers. In this photo, Preston and Matt are saying their wedding vows under the beautiful flower chandelier with family and friends looking on.